Do Democrats/the liberal left hear themselves? Contradiction and hypocrisy are everyday occurrences. 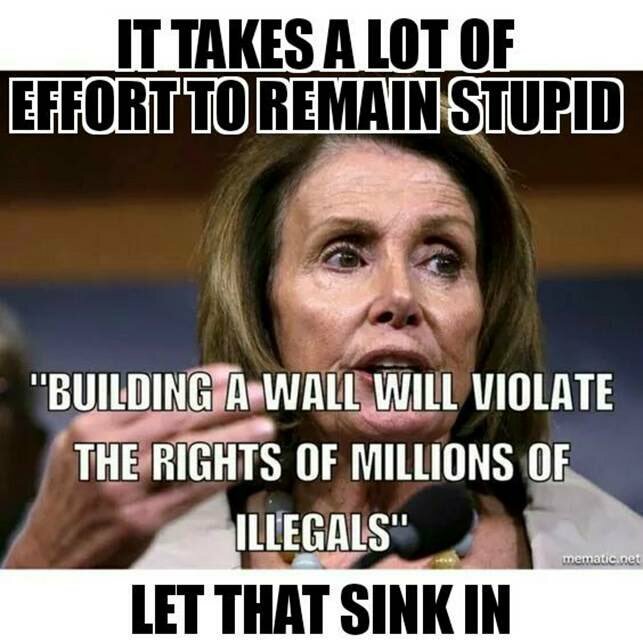 They, the Dems would argue that illegals should be allowed to vote (they will do anything to allow it, as long as they vote for a democrat); but then scream foul that Russia has interfered with our election process. There seems to be some interference in the liberal’s mental processing! Haven’t verified this, you should know……but; it does show how an infiltration of radical terrorists can easily enter the U.S. within a mob of illegals. No women, no children but they come here for opportunity! Right! The opportunity to destroy.